The downpour was incessant. At Kinner Camps Sangla, Pawan Soni was visibly perturbed. He was on tour with Doreen D’sa, and while the terrain of Kinnaur was challenging anyway, today his driver’s gut told him that something was terribly amiss. As the rain poured, he urged the other drivers and his group to leave Sangla immediately and head towards Kalpa. As seriousness crept in, Pawan recalls how anxious the travellers were. Some septuagenarians, and most above 50 years. He tried to keep his composure, maneuvering the Innova to the best of his capabilities over the almost washed off incline, to steer it to safety. Two Innovas including his were already up. There was no sign of the third one. After a fretful wait, he decided to take matters into his own hands and went down reversing the car. It was a test of skill, composure, and focus. Tying the third car to his Innova, he swerved the car on the steep incline yet again, while the passengers had their hearts in their mouths. I have been to umpteen road trips across India – from hilly terrains to desert roads, to bumpy village roads to national highways. Most of the times, road journeys are highlighted and spoken of, but the ones that are on the wheel aren’t applauded for their efforts and the accountability they take for the safety of their passengers. Most of them stay away from their families, driving nonstop to earn a livelihood and making sure their concentration is unwavering because lives of others are at stake too. “Every day is uncertain. In the hills, you don’t know which journey can be your last. We move with our lives on our palms”, says Pawan as he drives us on the NH22 highway, effortlessly cruising each turn with flair and focus. “The vehicle should be worshipped and taken care of. If you don’t take care of it efficiently, how will it take care of you in the hills?”, he says emphatically. It is true. On most of the routes, there are hardly any other tourist vehicles around, let alone garages, making it all the more imperative that car spares and parts be well maintained and checked regularly. Amar emphasizes the symbiotic relationship between a vehicle and it’s driver, calling it an unexplained love affair. The vehicle becomes a long-lasting partner in almost all the journeys, and unknowingly a source of strength and pride for the driver, who considers it as a companion, nurturing and caring for it. When I ask him his favourite route, he doesn’t think much. “Bhutan.” I am not surprised. Driving through the picturesque highways of Bhutan is a dream. From the scenic Chelela to the long, tiring, yet charming drive to Punakha, Bhutan offers everything quaint to the road trip lover. The same question is posed to Pawan who has his own personal favourite, “Spiti, without a doubt. It is the most challenging to drive in, given the treacherous roads and harsh weather conditions, especially the Kaza to Manali stretch. But it remains an eternal favourite. ” And how does he combat challenges? He recalls an incident where his car was hired by a team for a film shoot in the winters in Spiti and what made his car stand out was the car battery and excellent servicing that made his car start first despite the -35 degree temperatures. If winter drives are challenging, so are long, continuous drives which are gruesome and require a fair deal of efficiency and patience. For Ahmed, a driver from Mumbai, who originally hails from Andhra Pradesh, the most arduous journey in his driving career was a nonstop 48-hour drive from Mumbai to Bihar. In fact, he was behind the wheel during my Grand road trip in the south and that is one of his memorable trips as well. On probing further, he reveals his all-time favourite SUV is Innova; he calls it evergreen and the best automotive battery is Amaron as it lasts much much longer than others and surpasses expectations on the road. These drivers ferry us to and fro on the roads; they do it with elan – Pawan with a distinct humour, Amar with his trademark grin, and Ahmed Bhai with his grit. The least we can do is thank them for living up to the faith we instill in them while we sit back and relax on those dangerous curves, enjoying those breathtaking views and clicking those Instagram pictures. Pawan is based in Bhuntar and operates all over Himachal Pradesh. He can be reached on +91 9816232932 / +91 821 9726932. Amar is based in Siliguri and operates in Sikkim, West Bengal and Bhutan. He can be reached on +91 9749330234. Ahmed is based in Mumbai and operates in many Indian states including Maharashtra, Goa, Karnataka, Andhra Pradesh. He can be reached on +91 9820774416/ 14. I just love how you take a small subject that people generally don’t think about in their travels and pen it down making it an inspiration for your readers. Kudos to these heroes of the road. Thank you so much Johann! 🙂 I really hope this post inspires others to pen down similar experiences and applaud these men on their travels! Very true Divsi, these people are the true heroes of any road trip and you cannot thank them enough for helping make your trip memorable. Wonderful post as always! Thank you Divyakshi for highlighting our “heroes of the road” Both Pawan and Amar have been the backbone of my tours in Kinnaur and Bhutan. With them at the wheel, I have no cause for worry whether the road is bad and the weather turns for the worse. It’s a very different topic that you have written about, Divsi! I agree our drivers take us everywhere, they make us experience so much, and we often just talk about our road trips, but forget to applaud the the real heroes. Although I have had several road trip experiences, and I often try to chat with my drivers, there’s this one driver that I remember specifically – He’s from Srinagar, Kashmir. He drove on such rough terrains in Northern Kashmir, but he appeared to be so cool about it. He was hospitable. Whenever we stopped for tea, he would offer me first and made sure that I was comfortable. Thank you so much Renuka! 🙂 So happy you liked it! 🙂 and I am sure you would have encountered so many such gems on the road! I absolutely loved this post Divya! What a wonderful theme, something that has seldom been addressed, yet you’ve managed to convey volumes of appreciation for these unsung heroes. They are heroes who silently do their job with grit and patience ensuring they stay alert despite their grueling schedules. The Kinnaur trip has indeed been memorable for various reasons, hasn’t it? This was a lovely journey that this post took me through, hearing the story from the drivers POV. Hats off to them and kudos to you for this wonderful ode to the drivers of India! A entirely different but interesting topic. It put me in thought about the drivers with whom we travel. Even I have few favourite drivers, they are such good people and have lot of stories to tell every time. Thank you so much Jithin! 🙂 They are storytellers indeed! You will love the adventure! Hope you get to go soon! Thank you so much Kiara! and yes so happy to hear about your love for India! Great to read. Awesome post. We recently visited Sri Lanka and were so thankful for our driver. Coming from America, I have never seen roads like the highways in Sri Lanka and I know that I am totally uniquiped to drive on them. Put in mountain passes and foul weather and a driver must be most skilled indeed. The best driver make himself invisible on the trip, and the road seem effortless, but their heroics should never be ignored. 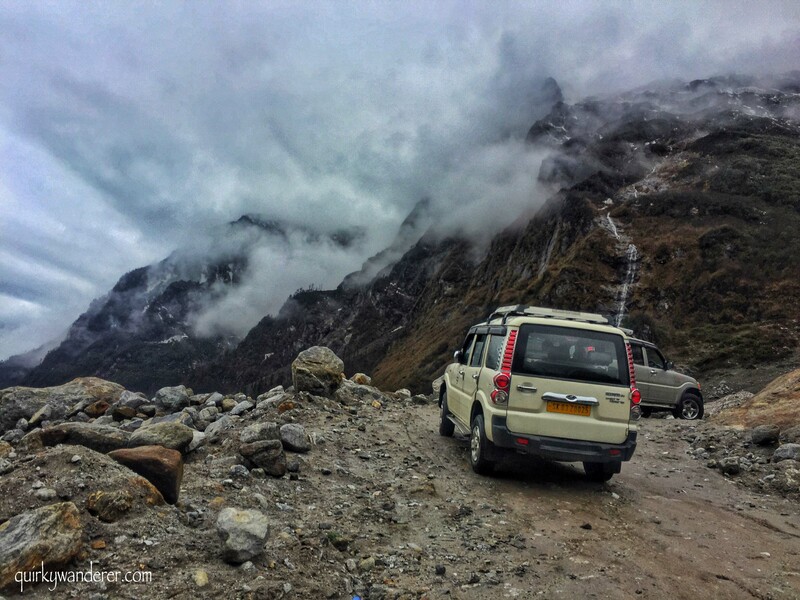 You’d love the journeys in India too Jenn:) The drives here in the mountains give a sense of adrenaline rush! 🙂 And your last line is just so true! Splendid post and I love how you have quoted down their words… Those photographs from across India are so pretty too! And thats exactly why I revere HRTC’s drivers. Jai ho! Thanks Shubham! 🙂 HRTC’s drivers are rockstars! Truly. Wonderful topic,and so well written,.It is so true that the trips are a lot dependent in the driver. Thank you so much Anindita! Oh gosh I’d be so terrified on the tiny roads on the edge of cliffs! I’m afraid of heights, I have no idea how they got used to it!!! That is true. many People are petrified of these roads! Darcee & I drove a tuk tuk across the entire west coast of India in the Rickshaw run so I have a profound respect for any driver in India. Between the roads, the environment, and the other drivers it can be a harrowing experience no matter what section. However the North & Eastern sides seem particularly tough with the mountains and rains. Much respect to those who drive those big tour busses! Awesome pictures and indeeed kudos to the drives who move through these winding roads!! What a great tribute to these unsung heroes of the road. The pictures of some of these roads are terrifying. I cannot imagine maneuvering them time and again. I love hearing about the care and concern these drivers have for their job. That’s a fascinating read. I love that you’ve tapped into the lives of the drivers, and really captured us with their dedication, skills and knowledge. They say that people make places, and I can imagine that being driven by one of these heroes of the road would make for a memorable journey indeed. I’d be white knuckled, but you have me recognising how invested they are in everyone’s safety. Driving in India sounds literally terrifying to me! I’m more likely to hire someone local who has experience driving there! Great post! Really like that you focused on the unsung heroes who have our lives in their hands. Those are some treacherous routes and beautiful scenery along the way. We would never dream of driving in most other countries and this write-up solidifies that idea. Leave it to the experts! Also great to support hard-working local drivers. Absolutely bravery here. I just saw folks barrel around hair pin curves at likely 70 KPH here in New Zealand and shuddered; first time driving a car abroad. Motorbike is my preferred transport and I’ve years of experience; car is a wee bit different. These drivers are fearless. Awesome stuff. Thanks so much Ryan! 🙂 Indeed, some curves send shivers down your spine and placing your trust in these is the best thing you can do! Commendable subject(s) and post Divyakshi . As we say “ekdum hatke” …… its wonderful that you have penned about the unsung heroes of the road. Its certainly not an easy or comfortable job. I guess their gypsy soul and adventurous spirit keeps them on…….. We do owe them a big thank for taking us safely through our journeys. What a great topic to write about. Kudos to those drivers, the conditions seem really difficult to drive but they get through it. I couldn’t get used to driving near the edge of a cliff. Driving on the edge of a cliff is adventurous and to drive in these places one should be brave enough and skillful. Hope you had great adventure on Indian roads !!!! I love how you’ve brought another perspective to travel. These drivers are awesome and as travellers, we owe a lot to their skills. Great photography too! India is a beautiful place. I would want to go there someday. I was wondering if taking these drivers and packages are the best deals? Is this the cheapest way to tour? Our Driver Ravi – a young boy of 24 drove us from Shimla to Manali via Kinnaur, Spiti and Chandratal for good 18 days and never ever I saw his face without smile. The same goes for the driver Suman who took me around Bhutan more than 10 years ago, Appreciate your writing about them and acknowledging their role in the lives of a traveler. You wrote this blog post to keep us engaged the whole way. I definitely would not be driving backwards down a steep incline! It is important to check the roads for service stations and gasoline. More than once I have not realized how mountainous terrain eats gasoline! P.S. Some great pics in here too! Seriously, the drivers in India are heroes. My most memorable experience was not with a professional car driver, but with a random stranger with a motorbike. I missed my bus in the hills around Munnar by about 5 minutes. This guy at the bus station had seen it pass and knew the route. He offered to give me a ride on his motorbike to “catch the bus.” I thought it was crazy, but the next bus wasn’t coming for hours and I was desperate, so I hopped on. We proceeded to speed down the mountain, around hairpin turns. The driver didn’t bat an eye. And after a few minutes, sure enough, we caught the bus. I’ll never forget it. You have captured some really pretty road drives in India. I love the one in Spiti and Sikkim. I totally relate to your post because I have taken one such drive in Kashmir as well, through some really beautiful yet tough terrains, and there were times my heart was beating so loud, I could almost hear it. Kudos to such drivers, that put their lives on line every day. It’s scary but according to them, its also amazing because of the sense of achievement, after a challenging drive! The scenery is so beautiful from your images! I agreed that driving in winter is the most scary and dangerous! In Canada, we face that terrible road condition every winter and we try to avoid going outdoor as much as we could! Our drivers are the real heroes who are hardly ever appreciated for their efforts. I have driven on these roads and I agree with you on how much they put their lives into risk when driving. My drivers have taken me to places that no sane driver would ever do in other countries.